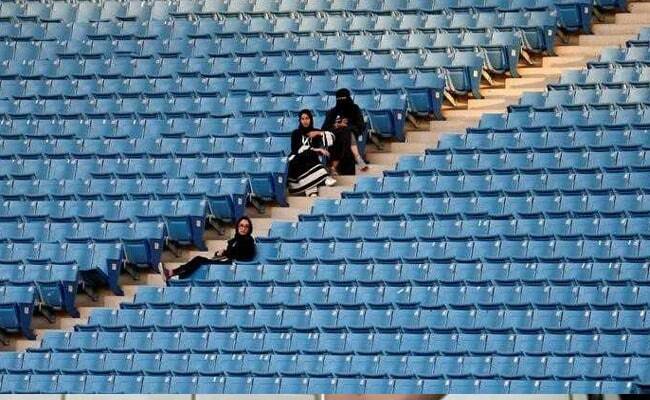 Saudi Arabia has some of the tightest restrictions on women and has barred them from sports arenas. Riyadh, Saudi Arabia: Sports stadiums in Saudi Arabia will open their doors to women to attend football matches for the first time ever on Friday, the government has announced. "The first match that women will be allowed to watch will be Al-Ahli versus Al-Batin on Friday January 12," the ministry of information said in a statement on Monday. It said women would also be able to attend a second match on the following day and a third one on January 18. Women from across the vast Gulf kingdom may be able to take advantage of this new freedom as the first match will be held in the capital Riyadh, the second in Jeddah on the Red Sea and the third in the eastern city of Dammam. The kingdom, which has some of the world's tightest restrictions on women, has long barred women from sports arenas by strict rules on segregation of the sexes in public. Under Saudi Arabia's existing guardianship system, a male family member -- normally the father, husband or brother -- must grant permission for a woman's study, travel and a host of other activities. But the conservative kingdom has in recent months eased some of its most notorious restrictions on women, including the lifting of a driving ban -- set to go into effect in June. In September, hundreds of women were allowed to enter a sports stadium in Riyadh, used mostly for football matches, for the first time to mark Saudi Arabia's national day. The easing of social controls comes as Crown Prince Mohammed bin Salman looks to repackage the oil-rich nation as more moderate and welcoming. The powerful crown princes' Vision 2030 programme for a post-oil era stems partly from an economic motive to boost domestic spending on entertainment as the kingdom reels from an energy slump. Saudis splurge billions of dollars annually on entertainment in the neighbouring tourist hubs of Bahrain and Dubai. But as a part of the crown prince's reforms drive, Saudi Arabia announced in December it was lifting a decades-ban on cinemas with the first movie theatres expected to open in March.